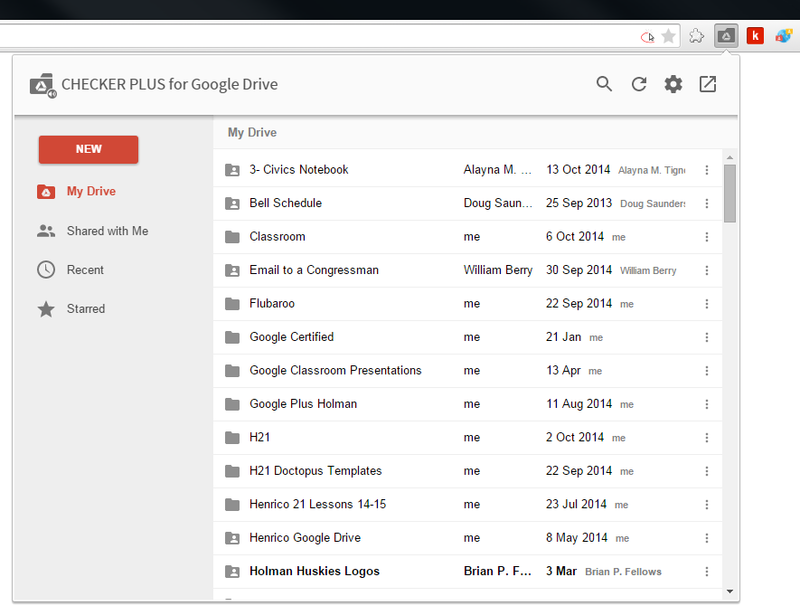 Checker Plus for Google Drive is one of the quickest ways to access your Google Drive files. This awesome extension allows you to browse, open, search or delete your files and documents right from a browser button (without waiting for Google Drive's page to open). It also has the option to turn on desktop notifications when any of your files/documents are modified or updated by a shared user.